Recent trends for The Masters has shown that golfers who win at Augusta enter the week in great form, but are not the No. 1 golfer in the world. That's good news for overwhelming favorite Rory McIlroy, but he'll need to end another streak if he's to win his first Green Jacket this week. Recent trends for The Masters has shown that golfers who win at Augusta enter the week in great form, but are not the No. 1 golfer in the world. That's good news for overwhelming favorite Rory McIlroy, but he'll need to end another streak if he's to win his first Green Jacket this week. McIlroy enters Masters Week at 7/1 odds at the Westgate SuperBook to win at Augusta. He's playing some of the [best golf in his career](https://www.facebook.com/ThePME/photos/a.1022754214416269/2811770742181265/?type=3&theater) and is No. 3 [in the world rankings](https://www.betchicago.com/golf-odds/world-rankings) behind Justin Rose (12/1) and Dustin Johnson (10/1). McIlroy was [8/1 to win The Masters](https://www.betchicago.com/masters-odds-update-rory-mcilroy-favorite) after winning the Players' Championship in March. In seven PGA Tour starts in 2019 he hasn’t finished outside the top 10 and needs only a Green Jacket to complete the career grand slam. __MORE:__ [Vegas sportsbook took 5-figure bet on Tiger Woods to win The Masters](https://www.betchicago.com/2019-masters-odds-las-vegas-sportsbook-bet-tiger-woods) While McIlroy's play and statistical makeup is made for Augusta, other trends are not on his side. Seven of the last eight, and nine of last 12 Masters winners were first-time major winners, according to ESPN. Ten of last 13 major winners were also first-time major winners. A whopping 24 of last 25 major winners also ranked in top 30 of the world rankings. So when looking for a Masters champion, recent trends suggest searching for a top-30 player that hasn't won a major. Those trends leave us with 15 golfers, but another two attributes cut the list to 12 -- players under 40 and top-30s recorded at Augusta. Nine of the last 10 champs were 39 years old or less on Masters Sunday (sorry Tiger and Phil) and nine of the last 10 winners had at least one previous top-30 finish at The Masters. Based on the trends, 12 golfers inside the top 30 have a shot at the Green Jacket. 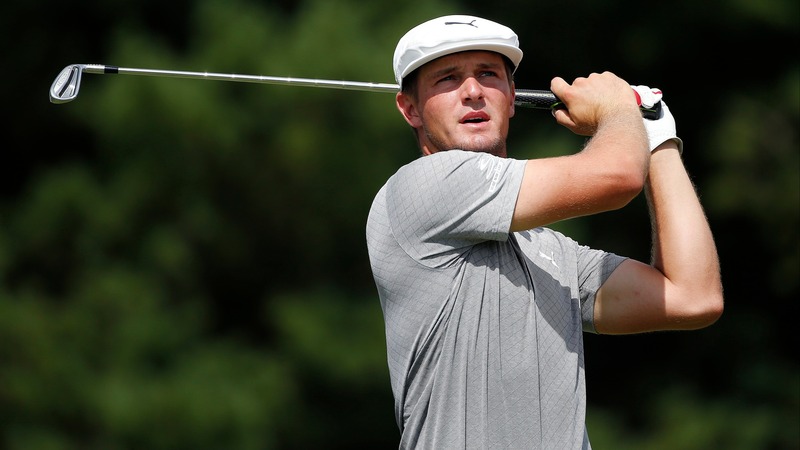 [Bryson DeChambeau (25/1)](https://www.betchicago.com/golf-odds/player/0096b26b-fc25-4fcf-90b9-4b796e3f6c5a), Rickie Fowler (16/1), Jon Rahm (16/1), Xander Schauffele (40/1), Tommy Fleetwood (20/1), Tony Finau (35/1), Marc Leishman (50/1), Gary Woodland (60/1), Kevin Kisner (60/1), Hideki Matsuyama (35/1), Cameron Smith (80/1), and Alex Noren (150/1). ## The Masters info Course: Augusta National Yardage: 7,435 Par: 72 Greens: Bentgrass Average winning score last 10 years: 276.4 Par 5 Eagles in 2018: 25 ## Key stats for The Masters [Strokes Gained: Off The Tee](https://www.pgatour.com/stats/stat.02567.html) [Par-5 scoring](https://www.pgatour.com/stats/stat.144.html) [Strokes Gained: Approach](https://www.pgatour.com/stats/stat.02568.html) [Driving Distance Gained](https://www.pgatour.com/stats/stat.101.html) [Birdie or Better %](https://www.pgatour.com/stats/stat.352.html) [Course History](https://www.pgatour.com/tournaments/masters-tournament/past-results.html) __Note:__ All 10 of the last Masters winners were ranked inside the top half for driving distance. ## Odds to win 2019 Masters Odds provided by Westgate <p style=" margin: 12px auto 6px auto; font-family: Helvetica,Arial,Sans-serif; font-style: normal; font-variant: normal; font-weight: normal; font-size: 14px; line-height: normal; font-size-adjust: none; font-stretch: normal; -x-system-font: none; display: block;" ><a title="View Masters on Scribd" href="https://www.scribd.com/document/405350676/Masters#from_embed" style="text-decoration: underline;">Masters</a> by <a title="View 's profile on Scribd" href="undefined#from_embed" style="text-decoration: underline;"></a> on Scribd</p><iframe class="scribd_iframe_embed" title="Masters" src="https://www.scribd.com/embeds/405350676/content?start_page=1&view_mode=scroll&show_recommendations=false&access_key=key-nrV204C4BWCNdTuic8xO" data-auto-height="true" data-aspect-ratio="null" scrolling="no" width="100%" height="600" frameborder="0"></iframe> __PLAY:__ [Our free daily contests](https://betchicago.chalkline.com/) for the chance to win a BetChicago prize pack.